Get ready for some serious mind bending turntable action for your ears! Don't miss this rare opportunity to catch two of the most influential DJs in the world live on PK SOUND at The Red Room. This is guaranteed to be one of the hottest multi-genre show's that you'll see this winter at The Red Room! If you've caught his sets in the past then you know he's a guaranteed party rocker and always brings the Bass heavy goods every time. 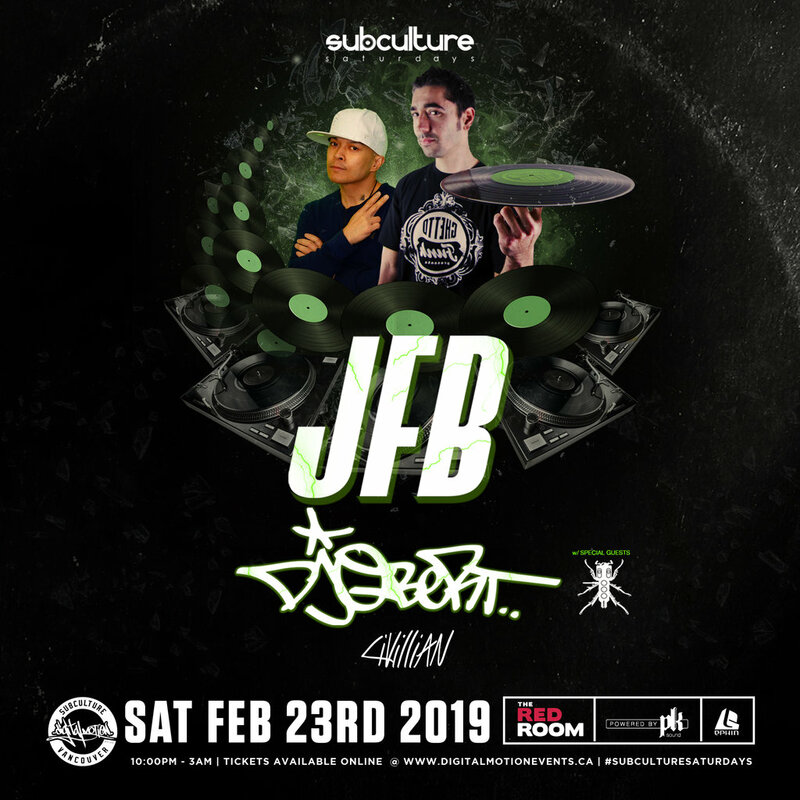 His successes have mainly been obtained from the ability to rock many parties with many styles, crossing over all the musical genres ranging from Jazz,Funk, Hiphop, Dubstep, Glitchop, Electoswing, Ghetto Funk, Breakbeat, Drumstep & Drum and Bass. QBert delivers like no other DJ. His peers and the media call him the Greatest DJ in the World, one of the most influential DJs of all time. 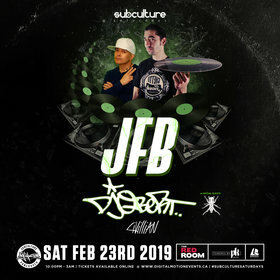 His long-standing career of innovating the DJ culture has set off a worldwide generation of DJs who are now regarded as musicians and not just DJs that play records, from A-Trak to Craze to C2C to Z-Trip; they would testify to DJ QBert’s influence in their sound and successful careers. + with tour support from The Fresh Crew! MUSIC STYLES FOR THE NIGHT : HIP-HOP / BASS / DNB / DUBSTEP / FUNK / BREAKBEAT + MORE!